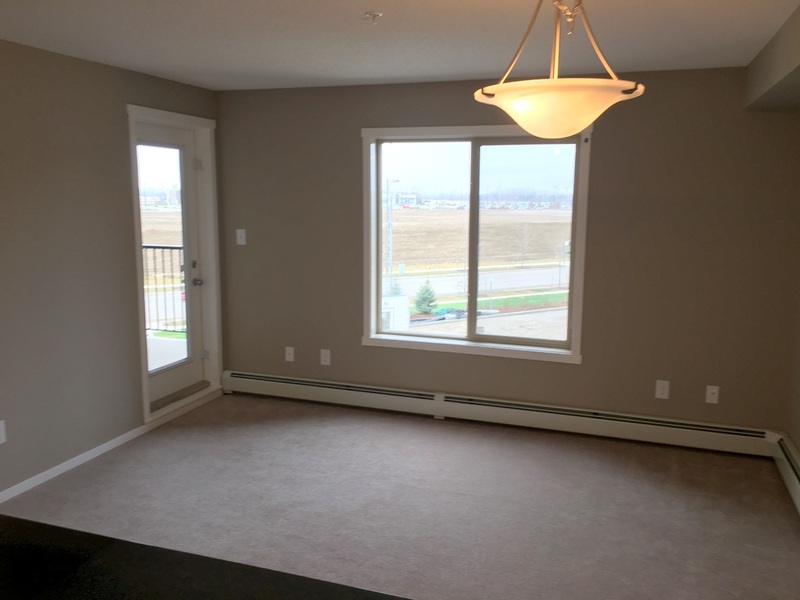 This is a brand new never lived in apartment in St Albert's Erin Ridge Community. 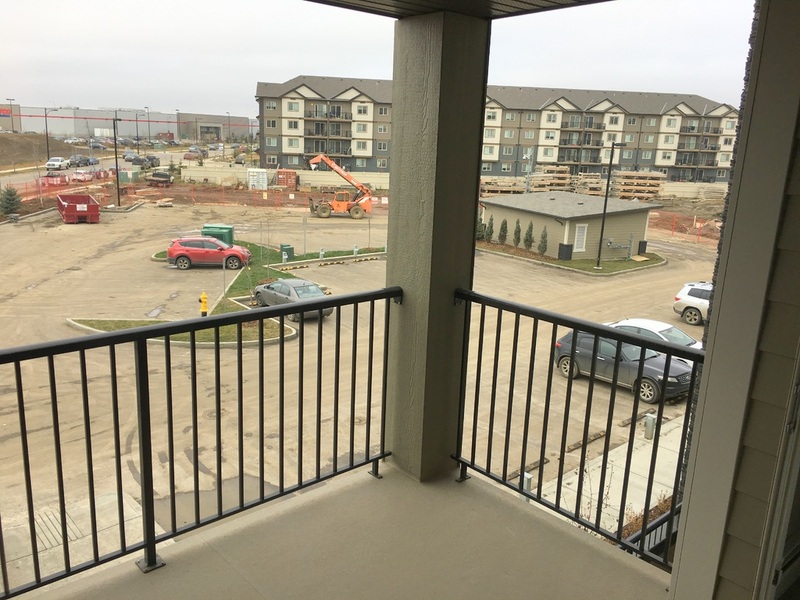 The best part about this apartment is definitely it's prime location it is close to Costco (can see it from the window), Tim Hortons, Walmart, Rona, Best Buy, Shell Gas Station, DQ, A&W, Starbucks all open already just minutes walking from the apartment. The Erin Ridge Shopping Center is new and more shops are being built at the moment and this property has yet to appraise properly, I need to sell it now since I am getting married. This is great to live in if you work in or around St Albert or great as an investment property since it rents very easily. 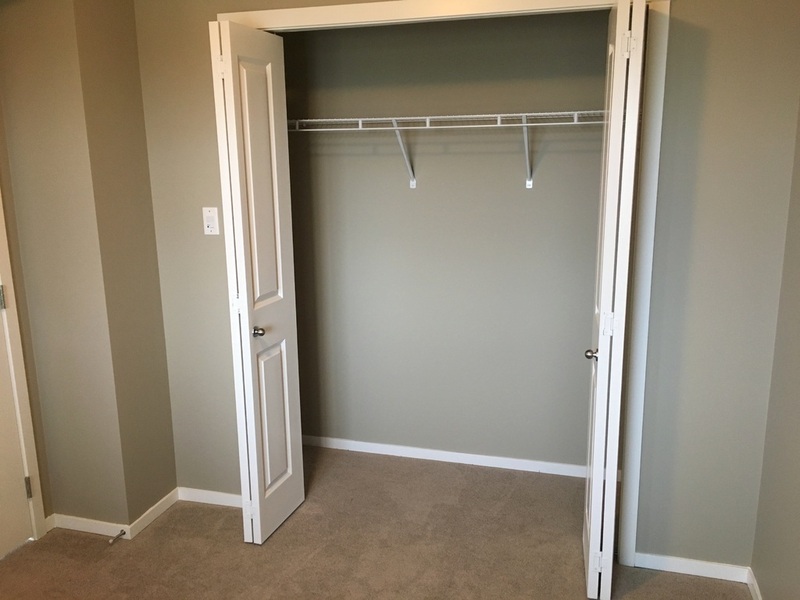 There is a coat hanging cupboard near the entrance that has plenty of room for a shoe rack, space for winter coats and a top shelf that acts as storage. 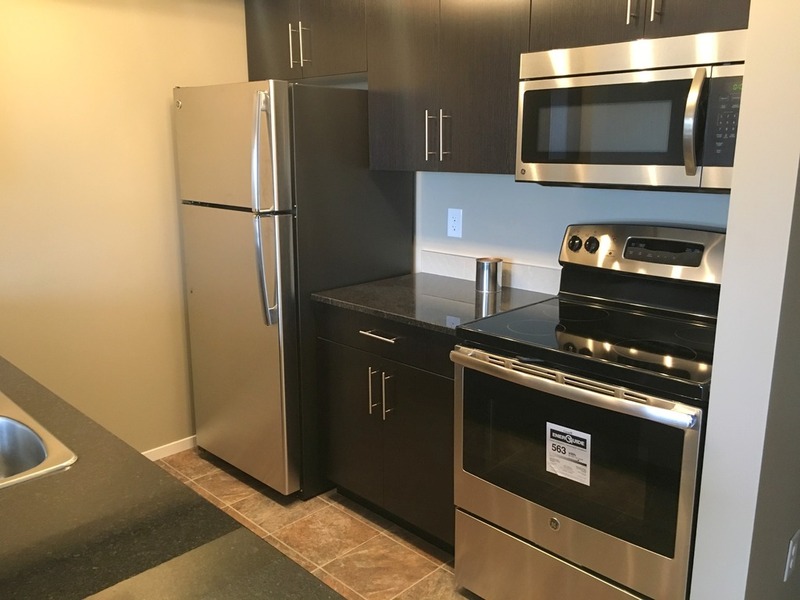 The Kitchen features Stainless Steel Appliances (upgraded) that provide contrast and go very well with the dark hardwood cabinets. As you enter the kithen the wall on the right has cabinets all along, the fridge, 4 stove electric oven, and a microwave which houses the vent for the stove built into it to save space. 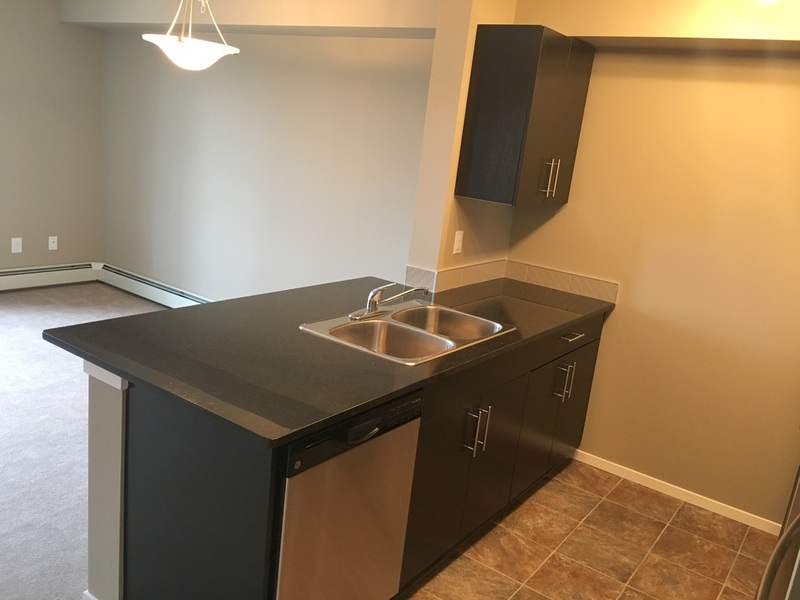 The kitchen features a granite dinner bar that has the double tub sink built into it that when paired with high bar stools would make for a great place to eat Breakfast and Lunch. 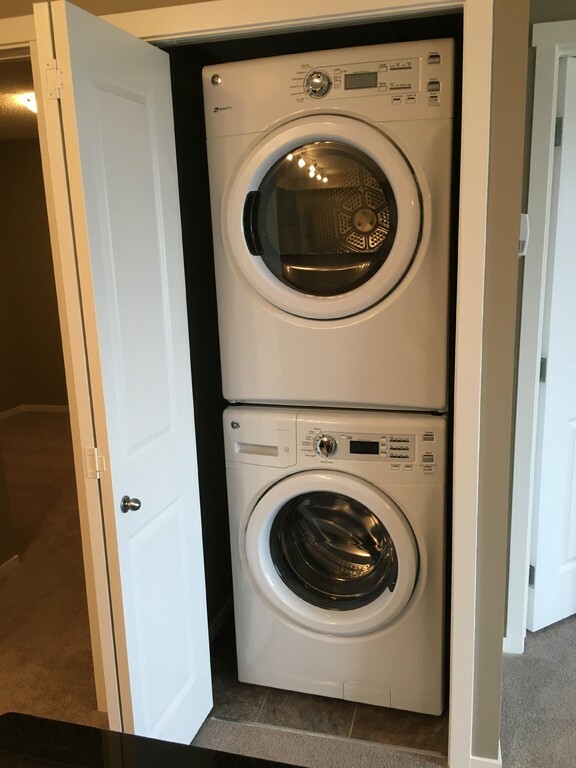 The kitchen has an upgraded dishwasher as well. It is well lit with 6 Bulbs of track lights that can swivel in a direction of your choosing. 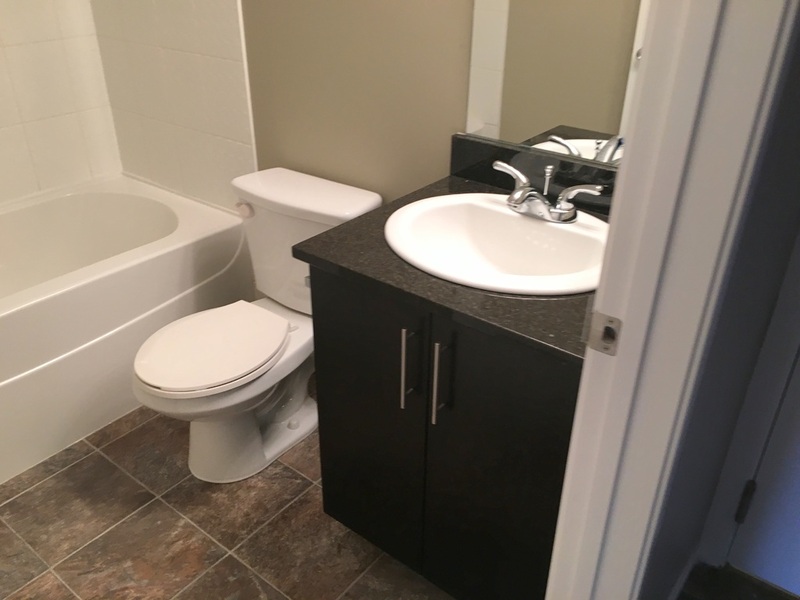 The Washroom has modern hardwood cabinet with granite counter top with sink. There is a large full size bath tub with shower head and features 2 mirrors, with one of them doubling as a medicine cabinet. 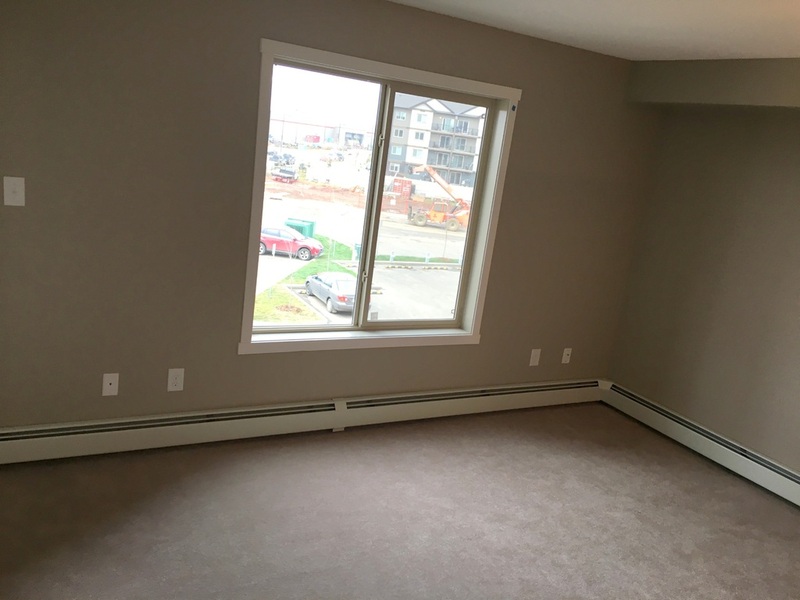 The Living room has a window that overlooks the Costco, the parking lot, and a garden that is landscaped and maintained by the condo society. 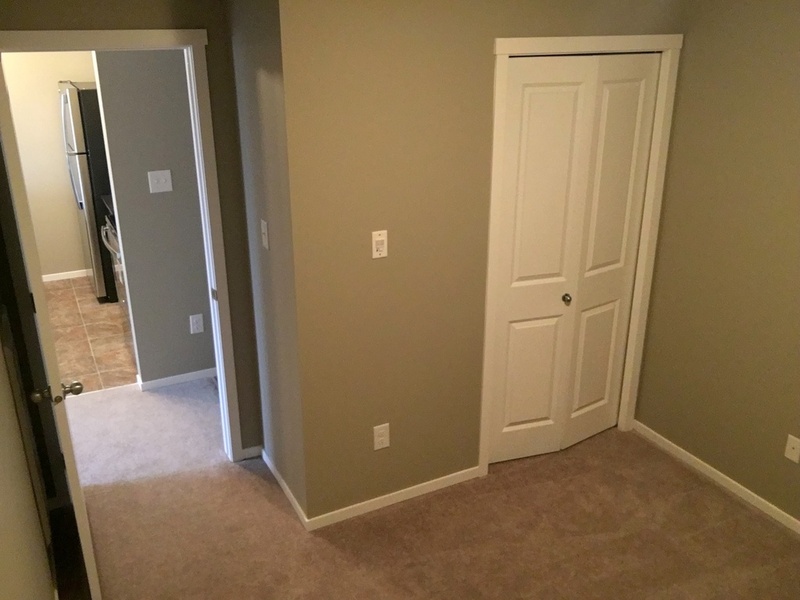 It also has plenty of room for a 3+2+1 Sofa Set. The room is lit with a hanging light fixture where the height can be adjusted. 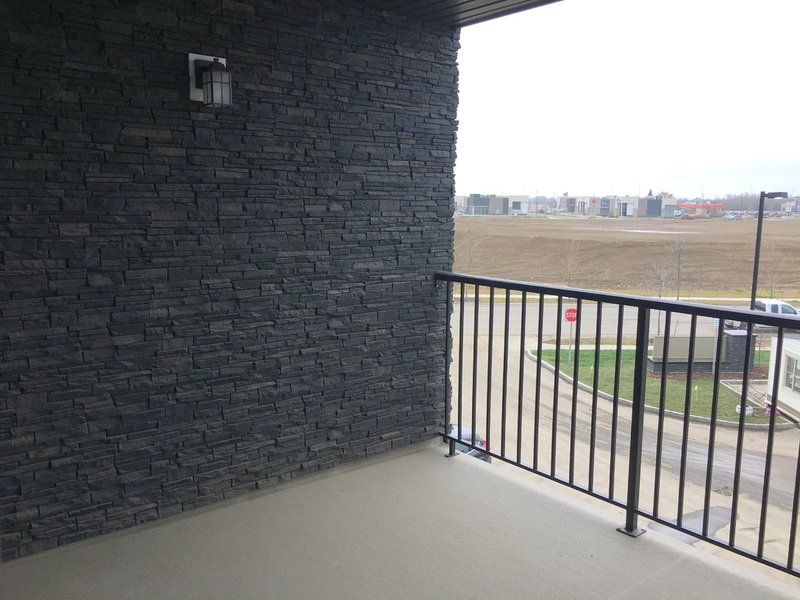 The Balcony is the definite highlight of this apartment, it is one of the few in this building of this size to have an entire wall covered in beautful dark stone. The balcony door is soundproofed with extra locks to prevent noise from coming into your living room. It's BIG, with enough space to house a 4 seat dining table with plenty of room for a BBQ. There is also concrete parking for visitors and heated underground parking (Upgrade) that is secure and is accessed through a wireless remote that clips onto your car's visor. The parking spot is close to an elevator that makes it easy for shopping. 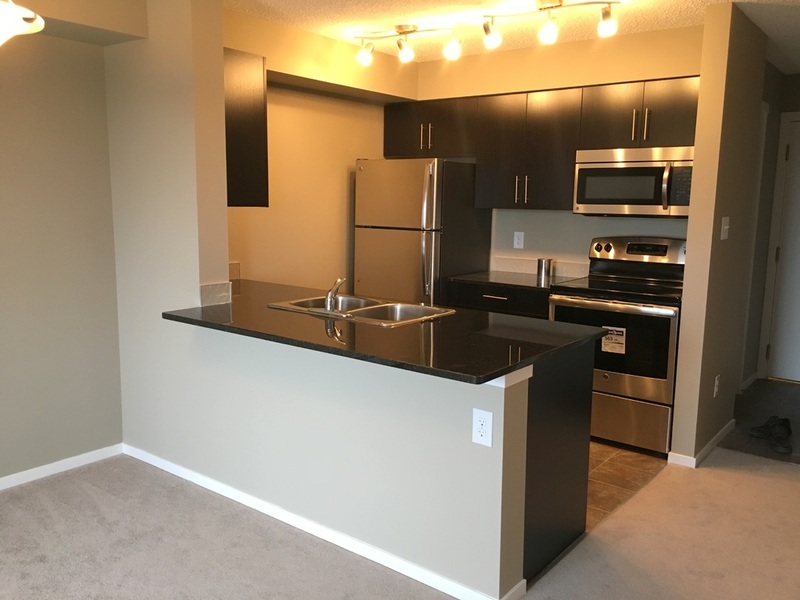 > Square Footage: 615 Sq Ft.
We welcome serious buyers to contact (780) 237-7800 with questions or ask for a viewing. This property for sale has been tagged by the seller as close to Edmonton, Alberta. 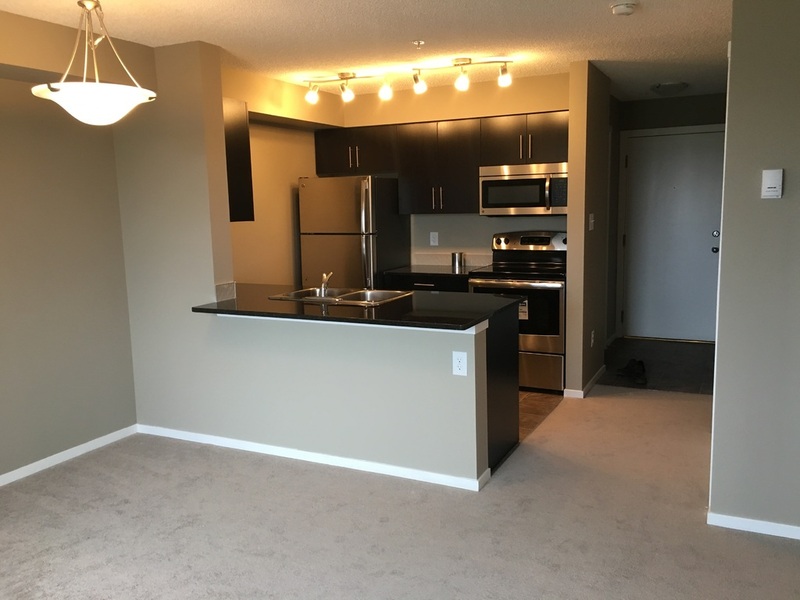 Thank you for viewing this For Sale by Owner property in St. Albert, Alberta.